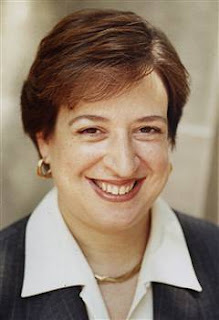 This morning President Obama announced that his pick for the Supreme Court is Solicitor General Elena Kagan. Kagan who is the first ever female Solicitor General would be only the fourth, female ever to serve on the nation's highest court. I repeat, in the 220 year history of the Supreme Court there have been 111 Justices and only 4 women, including Kagan if she is confirmed. So basically, this is a good thing and everyone should be happy that President Obama went with something other than a white guy right? Well, maybe not. There are plenty of people who have written about other choices including a number of qualified black females (Our post here) and even perhaps a male of asian descent. And what about her record? Is she the right person to replace a liberal icon like Justice Stevens? - She was the first woman to serve as the Dean of Harvard Law School. - If Kagan is confirmed it will be the first time in history that 1/3 of the nation's highest court will be women. - She is a graduate of Princeton University and Harvard Law School. - Kagan served as White House Counsel under President Bill Clinton. - Kagan was a law clerk for Justice Thurgood Marshall. - Kagan was a tenured law professor at the University of Chicago. Is Kagan the right choice at this time for SCOTUS? 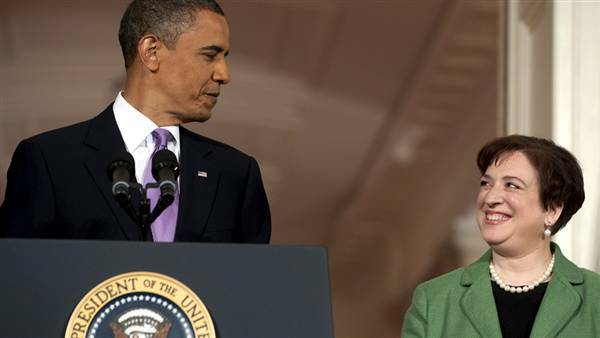 Is President Obama going to take a lot of heat for not nominating a person of color? Should he take heat for that? Or is the bigger issue here, not that Kagan is not a person of color, but that she has little to no judicial record, making it very difficult to know where she stands on the hot button issues of the day?